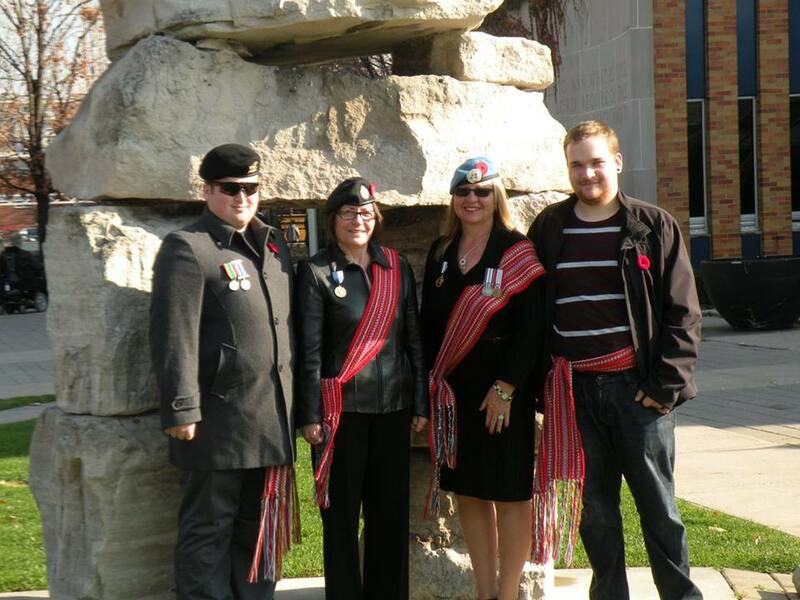 Throughout the province, MNO Veterans participated in Remembrance Day Ceremonies on November 11th, 2015. MP Francesco Sorbara and Dr. Alis Kennedy O.Ont., C.D., O.M.C. Members of the North Wall Riders Association (NWRA) in Windsor made a generous contribution to the Métis Nation of Ontario (MNO) Veterans Council’s planned pilgrimage to Vimy Ridge in 2017.The NWRA are active towards promoting awareness of military veterans. They were an active force towards the raising of the Afghanistan and Peacekeepers Monument in Windsor. NWRA President Mike Lepine, Wayne Hillman, Karl Lovette, Ron Jones and Jo-Anne Gignac were the active committee that proposed the monument to the City of Windsor with the full support of the Canadian Vietnam Veterans’ memorial committee. Members of the North Wall Riders Association (NWRA) in Windsor made a generous contribution to the Métis Nation of Ontario (MNO) Veterans Council’s planned pilgrimage to Vimy Ridge in 2017. The NWRA are active towards promoting awareness of military veterans. They were an active force towards the raising of the Afghanistan and Peacekeepers Monument in Windsor. Afghanistan and Peacekeepers Monument in Windsor. 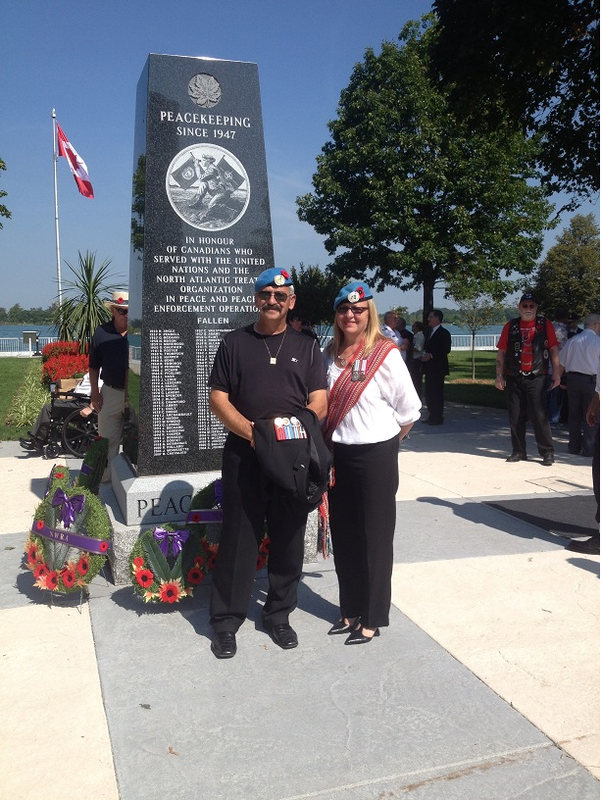 On Sunday, September 6, MNO citizen and veteran Shelly Claus attended a service to honour Canada’s peacekeepers and Afghanistan veterans at the Afghanistan and Peacekeepers Monument in Windsor. Many Métis veterans served in Afghanistan or on peacekeeping missions. On the south face of the monument is listed the names of fallen Canadians who served in United Nations (UN) and North Atlantic Treaty Organization (NATO) Peacekeeping and Peace Enforcement Operations since 1947. The north face of the monument lists the names of the fallen Canadian soldiers who served in Afghanistan and the Arabian Sea between 2002 and 2014. Although the monument was unveiled a year ago, organizers didn’t want to interfere with Remembrance Day ceremonies in November. Local veterans hope the memorial service will become an annual event. As we all know,many Metis Veterans retire from the Canadian Armed Forces to find employment in the Royal Canadian Mounted Police, Provincial Police, Regional Police Services. Some also join local Fire Detachments, Paramedics and even Search and rescue. Their service continue in many different disciplines in civilian life. For this we are thankful. 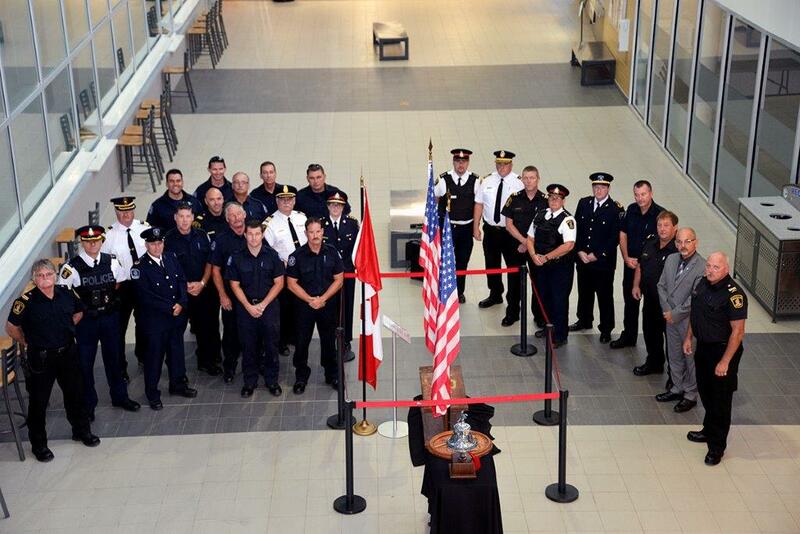 Here is an recent article from one of our Veterans, Deputy Chief Ron Gignac C.D. families in the United States of America. As seen from our flags at the ceremony, we stand together. Charles Mandeville, the son of Guy Mandeville, C.D., Chair of the Métis Nation of Ontario (MNO) Veterans’ Council, has become a commissioned officer and promoted to Sub-Lieutenant in Her Majesty’s Royal Canadian Navy. 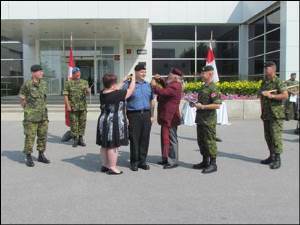 He received his commission at Canadian Forces Station (CFS) Leitrim in Ottawa in a ceremony on July 13. Charles Mandeville joined the Canadian Armed Forces Reserves in August 1997 as a Signals Operator with 772 Reserve Electronic Warfare (EW) Squadron in Kingston. Although he should have known better after three years in the Reserves, he enrolled in the Regular Force in July 2000 as a Communicator Research Operator at Canadian Forces Recruiting Centre (CFRC) Kingston. After completing his Developmental Period (DP) 1 training, he was first posted to Canadian Forces Station (CFS) Leitrim in May 2001, where he served in a variety of positions on shift as an analyst. Following his DP2 training in February 2004, he returned to CFS Leitrim as a Processing and Reporting (PR) Analyst, and member of the Signals Intelligence (SIGINT) Support Element (SSE) at the National Defence Command Centre (NDCC). Due to his outstanding performance, he was selected for, and completed, Persian Farsi language training at the Canadian Forces Language School (CFLS) Asticou before being posted in 2006 to Canadian Forces Information Operations Group (CFIOG) Detachment in Fort Gordon, Georgia. This location afforded him and his wife the opportunity to make regular sojourns to “The Happiest Place on Earth,” Disney-world, in Florida. Returning to CFS Leitrim in 2010, Charles was employed as a Duty Shift Supervisor before being sent on a continuous French language course at CFLS Asticou whereupon he completed his language requirements. Since January 2013, he has been employed in Echo Troop in a variety of positions including the SIGINT Development (SIGDEV) Task Manager, Target Discovery Team Lead, Cyber Discovery Team Lead, and Echo Troop Warrant Officer. In March 2015, he was selected for the Commissioning from the Ranks (CFR) program as an Officer in the Intelligence Branch. Throughout his career to date, Charles has deployed to the former Yugoslavia as a member of Operation PALLADIUM, and as the Cryptologic Deployed Support Element (CDSE) Team Lead on the HMCS Vancouver in support of Operation MOBILE and Operation ACTIVE ENDEAVOUR. Charles is an extremely motivated, intelligent, and dedicated member of the Canadian Armed Forces who has the potential to be an outstanding officer. A Métis Nation of Ontario (MNO) citizen and 36 year veteran of the Canadian Armed Forces was recognized at the August 31 meeting of the MNO North Channel Métis Council. There, Council President Yvonne Jensen presented veteran June Fogen with the Louis Riel medal and certificate that formally acknowledges Fogen as an MNO veteran. Fogen started in the reserves in 1974 and joined the regular forces in 1978. In her storied career, Fogen was stationed in Toronto, Chilliwack, Lahr in Germany, Calgary, Ottawa, the Golan Heights in Israel and Ottawa. She was assigned to several Communications squadrons and detachments during her career as well as to the Defence and Civil Institute of Environmental Medicine, Canadian Forces Europe Headquarters, Canadian Forces Language School, the United Nations Disengagement Observe Force and Chief of Defense Intelligence. Fogen was released from the Armed Forces in 2010 as a Master Warrant Officer. She moved to Thessalon with her fiancé, which is also near her three sisters. Fogen is currently the Women’s Representative on the MNO North Channel Métis Council. 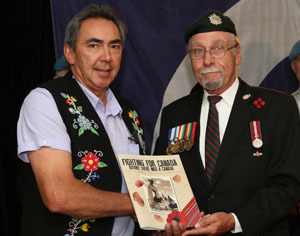 Metis Nation of Ontario President Gary Lipinski receives Ontario Metis Veterans book from MNO Veterans' Council President Joseph Paquette. During the Opening Ceremony, the MNO Veterans’ Council presented President Lipinski with the first copy of their book, Fighting For Canada Before There Was A Canada. MNO citizens were enthusiastic about the presentation of the book, which were sold out by the end of the day. The funds will go to the pilgrimage to Vimy Ridge in 2017. Additional copies of the book will be printed in the near future. The Veterans' book was successfully launched at this year's 2015 AGA in Midland. President Lipinski was also presented the MNO Veterans' Council appreciation certificate for the in-kind work done by the MNO Communications Branch. Veterans' book available at $20.00 each plus shipping. When retired Chief Warrant Officer and Métis Nation of Ontario (MNO) citizen Roger Ladouceur served in the Middle East in 1980, his dear friend was tragically killed in an accident. Ladouceur and Private Perry Porter were both stationed in the Golan Heights, a Syrian region bordered by Israel, Lebanon and Jordan, serving with the United Nations Disengagement and Observer Force (UNDOF). The tragic incident took place on November 6, 1980, when Porter was working on an antennae tower when the tower collapsed. Ladouceur was a member of the crew working on the tower when Porter was killed. The loss of his friend affected Ladouceur keenly. He made certain that Porter’s service medal was posthumously presented to his grieving parents and worked diligently and successfully to have Porter’s mother recognized as one of the Silver Cross Mothers for Remembrance Day ceremonies. 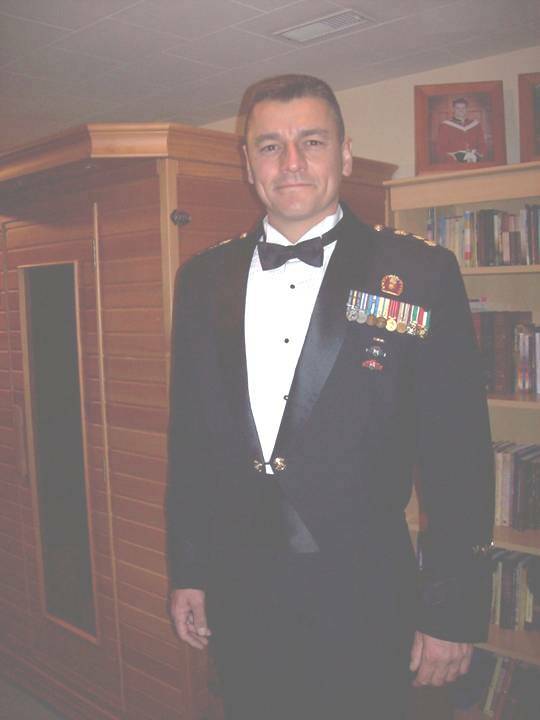 Chief Warrant Officer (retired) Roger Ladouceur C.D. 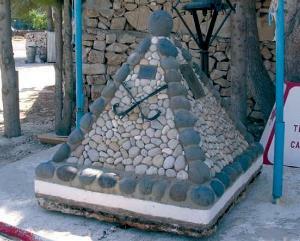 When Ladouceur returned to the Golan Heights in 1984, he saw to it that a memorial was built and dedicated to the memory of Porter. Now known as the UNDOF Memorial, the stone cairn has a plaque on each of its sides, listing the names of all Canadians who lost their lives while serving on UN missions in the area. Over the years, the memorial had been refurbished several times. Originally built near the entrance of Camp Ziouani, the UNDOF Memorial was moved 26 kilometres away to Camp Faouar, Syria, in 2005. When the decision was made to move the contingent of soldiers stationed at Camp Faouar back to Canada, it was decided the memorial would be brought with them to allow Canadians to properly honour and maintain a memorial dedicated to the memory of Canadian citizens. The UNDOF Memorial was safely brought to Canadian Forces Base (CFB) Kingston, where it still stands today. Roger Ladouceur received the Louis Riel Medal and certificate during the Veterans and Youth weekend in Midland on April 25 to 26. 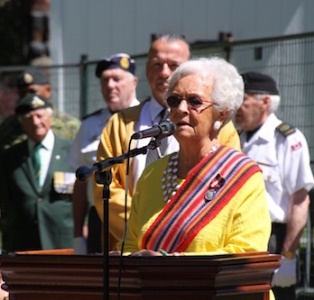 Senator Reta Gordon during the Ceremony of Remembrance.On June 21, National Aboriginal Day, Métis Nation of Ontario (MNO) Senator Reta Gordon participated in the annual Ceremony of Remembrance. 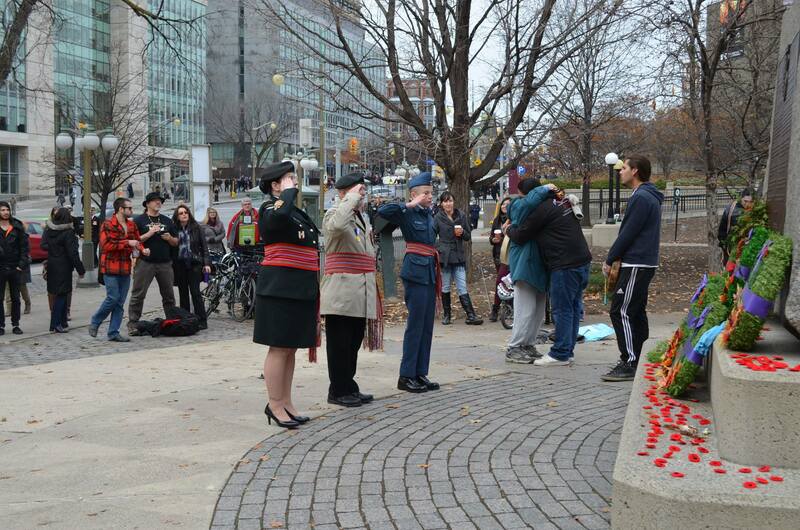 The ceremony took place at the National Aboriginal Veterans Memorial in Ottawa. Métis veterans from across the Homeland participated in the ceremony and Senator Gordon laid a wreath at the foot of the memorial to commemorate the Aboriginal veterans who gave their lives for their country. The Senator had been asked to lay the wreath on behalf of the Métis National Council. The Ceremony of Remembrance was hosted by the Aboriginal Veterans Autochtones, formerly known as the National Aboriginal Veterans Association. See link below for original article from Mississauga Heritage. submitted by: MNOVC chair Guy Mandeville C.D. MNOVC Chair Guy Mandeville and Alderville Veteran Maurice (Mo) Mackenzie. Photo take by Tegan Mandeville-Mackay. 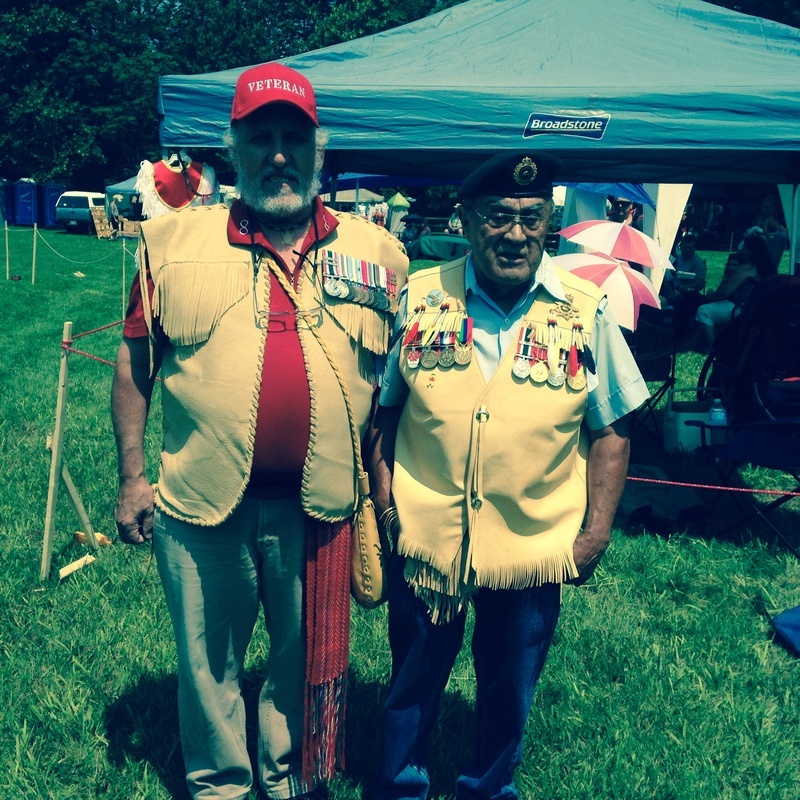 On Saturday July 11, 2015, MNOVC Chair Guy Mandeville attended the Alderville First Nation Pow Wow and supported our First Nations Veteran brothers in the Grand Entry / Veteran Honour song and the posting of Eagle Staffs, National, USA, Métis and Alderville First Nation and POW/MIA flags. The Métis Nation of Ontario (MNO) Veterans’ Council had their quarterly meeting at Canadian Forces Base Trenton on Sunday, June 14. After the meeting, MNO Veterans' Council Senator Alis Kennedy and some of the other veterans visited the Afghanistan Repatriation Memorial located on the base. In February 2013, members of the MNO Veterans' Council had visited the Memorial when it was covered in snow and ice. Revisiting the Memorial in June, surrounded by greenery and blooming flowers, was a very different experience. For Kennedy, it was a moving moment to read the names of soldiers who lost their lives during Canada’s 12-year involvement in the Afghanistan Conflict. The Afghanistan Repatriation Memorial is dedicated to the 155 Canadian men and women who sacrificed their lives in the conflict. Submitted by: MNOVC Chair, Guy Mandeville C.D. DAAG (Defence Aboriginal Advisory Group) Aboriginal Day far left front row Guy Mandeville, CD with students of his Native Studies Class, East Northumberland Secondary School -Grade 9 and 10 Native Studies, a Grade 10 Civics class and a Grade 11 Sociology class visited CFB Trenton for Aboriginal Awareness Day. The students took part in the Opening and Closing ceremonies by using the six person ceremonial drum to accompany Mohawk Singer/Drummer, Dustin Brant from the Tyendinaga Reserve. ENSS Drummers also led the Round Dance. Workshops were offered in drum making and leather crafts. ENSS students also created poster boards of the Eastern Woodland Clans that were displayed at the event. MNOVC Chair Guy Mandeville has been involved with East Northumberland Secondary School (ENSS) since the fall of 2009. Since 2009, Guy has been going to classes 9, 10 &12 once a week for both semesters. At the Native Studies Classes we do native arts as well as Métis and Inuit cultures. Things that we do are Medicine Wheels, Dream catchers, moccasin making, medicine pouches, storytelling and we try to introduce a new art projects. 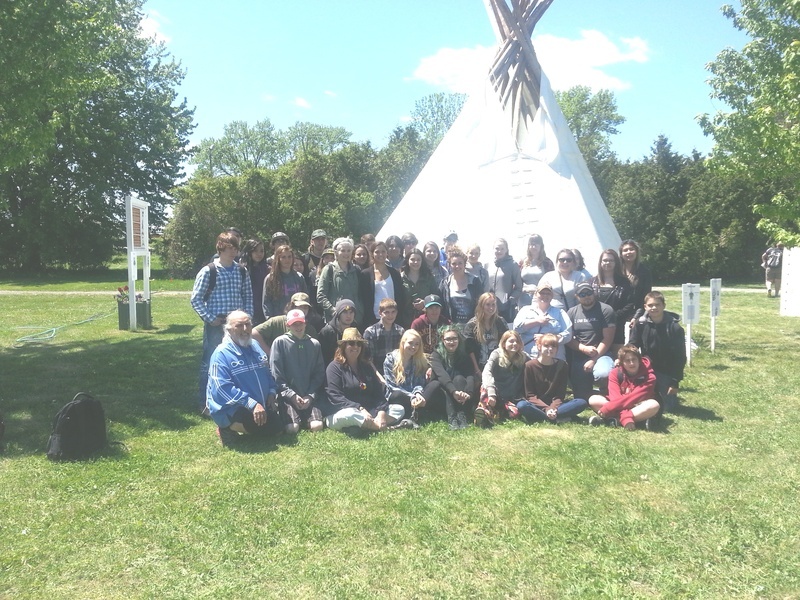 Every year since 2009, ENSS Native Studies class has participated with the Aboriginal Day activities of CFB Trenton’s Defence Aboriginal Advisory Group (DAAG) in May of each year. In past years the class has prepared posters on aboriginal Veterans of Canada, Aboriginal Shelters, Clan System and many others themes. It has been a pleasure to see these young people appreciate the aboriginal culture that has benefited Canada greatly. Aboriginal Awareness is a major focus in the Native Studies class and the students are like sponges they want more every week. article submitted by: Richard Lefebvre, C.D. Soldier, wife, mom, lawyer. There is nothing a Métis person cannot accomplish with a lot of hard work. I write this article to show the pride I have in my daughter Jaime Lee Lefebvre. 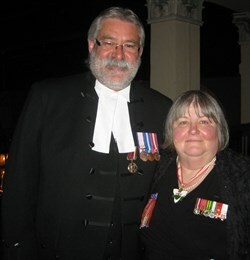 She is presently the Regimental Sergeant Major (RSM) of 28 (O) Med Coy, completed her Bachelor of Military Arts and Science through correspondence at Royal Military College (RMC) in Kingston, finished a law degree with the University of Ottawa and was called to the Bar as a lawyer on the 22nd June 2015. She managed to accomplish this with her husband being posted in Kingston most of the time and 3 kids at home. Her kids are now 13 and 5 year old twins. We both wore our Métis sash to the ceremony to show our pride in our heritage and hopefully to encourage other Métis youth that all dreams can become reality. as Deputy Chief for the Belleville , Ontario. Belleville has a new deputy police chief. Mayor Taso Christopher introduced Ron Gignac at a news conference at city hall this afternoon. Gignac is a former member of the Canadian Army with an extensive military career, and has served as a paratrooper in the Airborne Engineer troop , part of the Canadian Airborne Regiment Battle group. 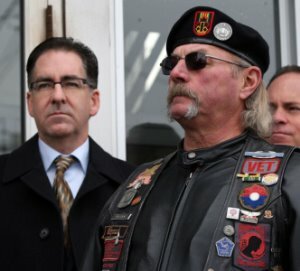 He was deployed to Cyprus twice, the Persian Gulf War and the Middle East. He was a member of the Ontario Provincial Police at a number of locations throughout the province, at one time an Emergency Response Team Tactical officer. Most recently he was chief of the Deep River municipal police service. He says meeting people is a priority. He paid tribute to Belleville’s two sectors. Belleville Police Chief Cory MacKay says she’s pleased with the hiring of a new deputy chief after a six month search. Mackay says the police service will soon be developing its new business plan for 2016 and the deputy will be “on board” for that. Forty-eight-year-old Gignac joins Belleville Police Service on July 2. He succeeds former deputy, Paul Vandergraaf, who left last fall to become deputy chief in Cobourg. On June 16th, 2015, Jim Tolles, an MNO harvester from the MNO Credit River Métis Council and Joseph Paquette, president of the MNO Veterans Council decided to go fishing up around Parry Sound. With very nice weather in our favour, the drive was long, but definitely was worth it. After about four hours of fishing, they walked away having lost four and catching five. Some of the fish was dropped off in Mactier at Jim’s parents, Jim (sr) and Bertha Tolles. No time was wasted in the cleaning and storing. There were smiles all around and a great meal is surely anticipated. After having great supper at the Tolles, we headed back home to the stresses of the big city. e share and take care of the elders in our communities. Remember, they took care of us. It is always important that we share and take care of the elders in our communities. Remember, they took care of us. 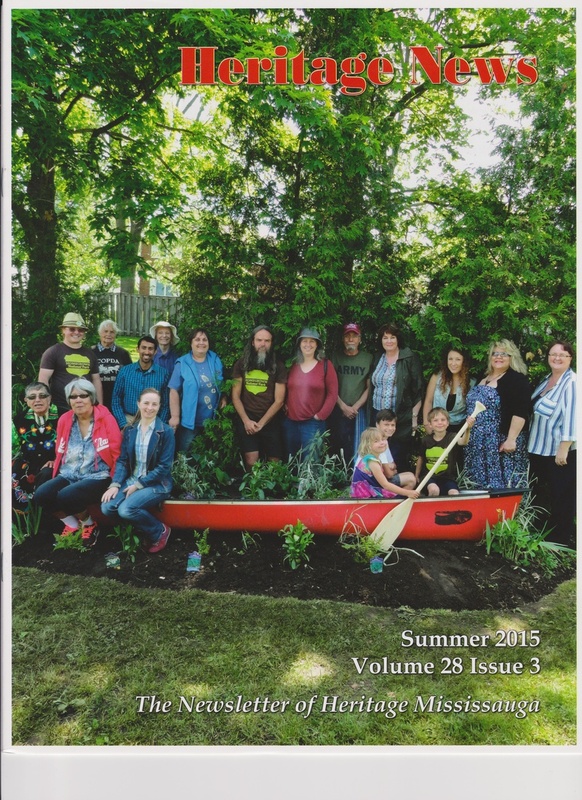 On June 13th, 2015, a special event was held by Heritage Mississauga at the Grange. This event was part of the David Suzuki Foundation “Plant –a-Canoe” Project. The city of Mississauga, Mississauga Heritage, Mississauga First Nations, Plant-A-Canoe committee and the Métis Nation of Ontario Veterans’ Council, all participated in bringing this project to fruition. On behalf of the MNO Veterans’ Council, plants were donated for the plating. This plants, being good pollinators will help the bee population and also beautify the garden at the Grange. A plaque will eventually be placed at the site. Ron Gignac near Nakina. Métis Nation of Ontario (MNO) veteran Ron Gignac enjoys being outdoors. 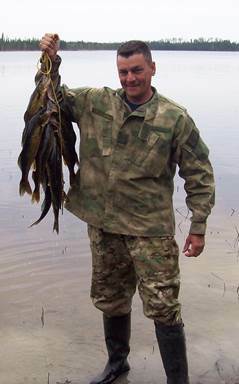 As an MNO citizen, fishing and hunting have always been part of his life. Spending time in a boat on a small northern lake and upon rushing rivers in Ontario is a good way to re-connect with the land and the bounties it provides. Gignac recently spent a memorable fishing day near Nakina, Ontario. There, together with good friends and family, he secured a fine catch of pickerel. Makes your mouth water, doesn’t it? To Gignac and his family, the wilderness is a favorite place. Over the years, in those far distant lands while serving in conflict areas, Gignac would often reminisce and dream about the beautiful and rugged terrain of Canada, especially northern Ontario. The peace and solitude from thinking of his next adventure, and memories of past fishing, trapping, and hunting trips with family and friends were refreshing even in the midst of the dangers of those past conflicts. Gignac affirms that God’s creations are marvelous and the experience of being in the wilderness brings that sense of comfort and wholesomeness that so many simply drive past in our hurried and demanding society. He encourages fellow Canadians, and especially our veterans, MNO citizens and their families to get reacquainted with our beautiful wilderness and the adventures that wait within it. The sense of peace and tranquility combined with the land’s beautiful flora and fauna will uplift your soul. (a member of the MNO Georgian Bay Métis Council). The Métis Nation of Ontario (MNO) Veterans’ Council made a donation to the MNO Georgian Bay Métis Council’s Youth Committee at the recent MNO Veterans’ Council/Youth Knowledge/History Exchange. The donation and Knowledge/History Exchange took place at the MNO office in Midland on April 25. The donation is very appropriate as Métis young people and Métis veterans have always had a special bond that defies words but is tangible through the way youth and veterans interact within the Métis community. This has been a source of pride for both the youth and veterans and so it came as no surprise that the MNO Veterans’ Council recognized the Youth Committee for their relationship with veterans. The donation was presented by MNO Veterans’ Council President Joseph Paquette to MNO Georgian Bay Métis Council Youth Representative Danielle Callander. The donation to the Council’s Youth Committee encourages and recognizes youth activities in the area and pays respect to the unique bond between veterans and youth. President Paquette was joined in the presentation by members of the MNO Georgian Bay Métis Council who work with the Youth Committee including Greg Garratt and Lenard Dusome (Ken Fraser, another supporter of the Youth Committee was absent). This donation will help the Youth Committee plan small events or culturally related crafts within the community. NWMO and Joseph Paquette, MNO Veterans’ Council President. One of the projects discussed at the MNO Veterans’ Council meeting held recently in Midland was the upcoming book on Métis veterans that the Council plans on publishing later in 2015. 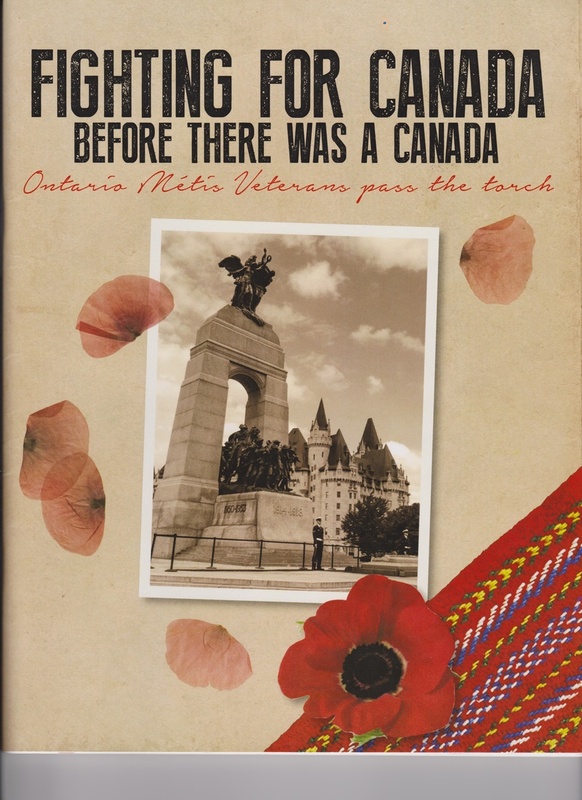 Representing hours and hours of work by volunteers and tentatively titled “Fighting for Canada before there was a Canada: Ontario Métis Veterans pass the torch,” the book will document some of the stories, anecdotes and photos of Métis Veterans and will be an excellent resource for future generations. Publishing a book of this nature will be an expensive venture and the MNO Veteran’s Council is working hard to raise money to make the book a reality. Fortunately, some success has already been realized on that front and was recognized at the MNO Veterans’ Council meeting. Ross Holden, Senior Engagement Advisor/Aboriginal Relations with the Nuclear Waste Management Organization (NWMO) attended the meeting and presented the MNO Veterans’ Council with a cheque to help fund the publishing of the book. This is very exciting said President Joseph Paquette, since this initiative is the first of its kind in the province. The MNO Veterans’ Council has also received confirmation for additional funding from Hydro One and Techno Metal Post Hamilton-Durham. President Paquette expressed the thanks of all MNO veterans to all the sponsors that are providing the Council with the capacity to move forward with this great Métis Veteran initiative. All the sponsors will be acknowledged in the book as will the Royal Canadian Legion for providing permission to use the Poppy symbol on the MNO Veterans’ Council website. Deschambault; and Joseph Paquette, President. The Métis Nation of Ontario (MNO) Veterans’ Council set some new milestones at its meeting held April 25 at the MNO office in Midland. In addition to the attendance of the entire MNO Veterans’ Council Executive, many verified MNO veterans from the area were also in attendance as well as dignitaries such as MNO Deputy Chief Captain of the Hunt Louise Goulding and MNO Manager of Community Relations Hank Rowlinson. It was noted during the meeting that in the last several years there has been a marked increase in the number verified MNO veterans. While only three years ago there were only about 20 verified MNO veterans, the number now exceeds 60 and more applications for verifications are pending. This is certainly an impressive milestone for the MNO Veterans Council. During the meeting the MNO Veterans’ Council Executive updated the other members present about the Council’s significant list of activities and accomplishments, which inspired one of the veterans present, Robert Baskey, to stand up and volunteer to fill the position of Sergeant-at-Arms, the one vacant position on the MNO Veterans’ Council Executive. This was another major milestone because never before in the history of the MNO Veterans’ Council (established in 2001) has every position on the Executive been filled. Robert Baskey’s verification was completed shortly after the meeting and he was then able to accept the position of Sergeant-at-Arms. Some of the participants in the MNO Youth/Veteran Knowledge/History Exchange: Sgt. 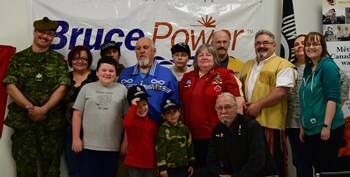 Ray Starks, MNO Vice-chair Sharon McBride, Dawson Garratt, Reese Lepage, MNO Veterans’ Council Chair Guy Mandeville, Juan and Rico Barrantes, Dalton Latondress, Senator Dr. Alis Kennedy, MNO Veterans’ Council Treasurer Chris Plummer, MNO Veterans’ Council Secretary Greg Garratt, Region 7 PCMNO Councillor Pauline Richardson and MNO Georgian Bay Métis Council Youth Representative Danielle Callander. Missing: Ed Hass, Aidan Cozens, Laurie Barrantes, John and Bernice Paradis. The Métis Nation of Ontario (MNO) Veterans’ Council held the first-ever Youth/Veteran Knowledge/History Exchange on April 25-26 at the MNO office in Midland with the support of the MNO Georgian Bay Métis Council and Bruce Power. Participants included young people from ages five to 29 as well as several MNO veterans and current members of the Canadian Armed Forces. During the weekend, the youth had the chance to view and even wear an array of military gear from all three services; Navy, Army and Air Force. At first the youth were a little too intimidated to try on the equipment but with the encouragement of MNO Veterans’ Council members they soon became enthralled with the equipment and the stories that went with them; told in the military tradition of truth, and stretched truth! The young people tried on webbing, gas masks and other gear and handled everything from expended rifle shells to large mortar shells. They received a real hands-on experience for what they previously had only seen and heard in movies and electronic games. Also during the weekend, Sgt. Ray Stark, an Aboriginal Liaison Officer and Recruiter with the Canadian Armed Forces, explained the many levels within the Armed Forces that young people can join. He provided information about careers in the Armed Forces, including opportunities for guaranteed summer jobs and educational opportunities and the 100 plus careers that can be pursued through full enlistment; as well as how training from the Armed Forces can eventually lead to great careers in civilian life. 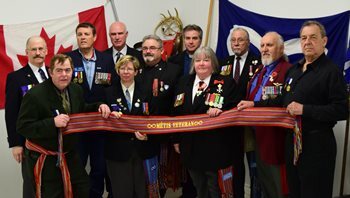 On April 15, 2015 in Ottawa, The Royal Canadian Legion: Dominion Command branch welcomed the Métis Nation of Ontario (MNO) Veterans’ Council in an exchange of gratitude. 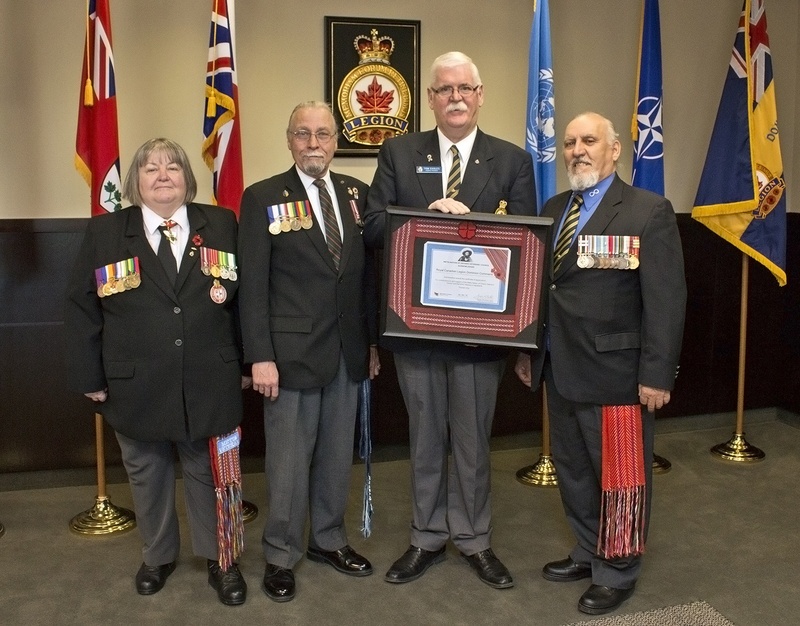 As a gesture of thanks, the MNO Veterans’ Council presented the Legion with a certificate and ceremonial sash to recognize the Legion’s decision to grant the MNO Veterans’ Council permission to use their official Poppy insignia on the MNO Veterans’ Council website in "remembrance” for MNO veterans who have passed away. MNO Veterans’ Council President Joe Paquette, Veterans’ Senator Dr. Alis Kennedy, and Chair Guy Mandeville presented a Métis sash to Legion President Tom Eagles, who graciously accepted it. “It is very important that as Métis veterans that we recognize that … [the Legion has] helped support us. It is important to recognize that and acknowledge them for that,” said Paquette. The Veterans’ Council said they are confident that this new bond will increase the visibility of Métis veterans. “The one thing we have very much in common is servicing our veterans and helping our veterans,” said Paquette. into the Order of Ontario. On February 3, 2015, the Honourable Elizabeth Dowdeswell, Lieutenant Governor of Ontario, invested 26 extraordinary Ontarians into the Order of Ontario during a ceremony at Queen’s Park. Included on this list was Dr. Alis Kennedy, C.D., O.M.C., Métis Nation of Ontario (MNO) Veterans’ Council Senator. Senator Kennedy was recognized for being an inspiring Métis leader and passionate advocate for veterans, Francophones and Aboriginal peoples. “I am proud to formally welcome these 26 remarkable people into the Order of Ontario. Their diverse and significant contributions have had an impact on the lives of millions of Ontarians, improving our quality of life, making our communities stronger and positioning this province as an international centre of excellence in many endeavours,” said Her Honour. Dr. Kennedy has spent her life shattering barriers and challenging the status quo, reminding us too, that tolerance, acceptance and generosity are values that we must never take for granted. With an impressive résumé, she is dedicated to the advancement of Aboriginal people, advocating for those particularly in difficulty with the law and violence against women. She served 13 years in the Canadian Armed Forces. Dr. Kennedy has shared her skills for over 40 years on three continents volunteering with a multitude of organizations. An inspiring speaker, leader and advocate for veterans and a role model for Aboriginal youth, Dr. Kennedy demonstrates that anything is possible with resolute determination. The Order of Ontario is the province’s highest official honour. It recognizes any current or former long-time resident of Ontario who has demonstrated a high level of individual excellence and achievement in any field benefiting the people of Ontario or anywhere in the world. I was very saddened to hear of the passing of MNO citizen and Métis veteran John Kelly who died peacefully on February 24, 2015. John was the brother of MNO Executive Senator Reta Gordon and MNO Ottawa Region Métis Council Senator Lois McCallum and is predeceased by his brother MNO Veterans’ Council Senator George Kelly. On behalf of all MNO citizens I would like to express condolences to John’s whole family. I hope that it is a comfort to John’s family to know that their extended Métis family throughout the MNO are praying with, and for them, at this time. John served in the Royal Canadian Navy and was a retired Ottawa Police Constable. He was the cherished husband of Jeannine. Devoted father to John (Betty). Dear grandfather to Patrick. Will be greatly missed by his siblings Lois (Walter), Reta (Ronnie), Robert (Judith), Gordon (Betty), Barbara (Chris), Larry (Gail), and Leonard. Predeceased by his brothers George and Donald. Fondly remembered by his extended family, nieces, nephews and friends. John was a founding member of the Ottawa Police Association Pipes and Drums. An original member and instructor of the Ottawa Police Underwater Squad. Former member of the Cameron Highlanders Pipes and Drums. Family and friends are invited to a visitation at Kelly Funeral Home - Somerset Chapel 585 Somerset Street West, Ottawa, ON. Phone 613-235-6712; website: www.kellyfh.ca; on Tuesday March 3, 2015 from 2:00 – 4:00 pm and 7:00 – 9:00 pm. Funeral Service to be held in the chapel on Wednesday March 4, 2015 at 11:00 am. Interment to take place at St. Bernard's Cemetery in spring. If desired, donations may be made to the Ottawa Hospital Riverside Campus (Dialysis Unit) in memory of John. For those Veterans that qualify and are interested, please apply direct. See below. OTTAWA, Feb. 17, 2015 /CNW/ - The Honourable Erin O'Toole, Minister of Veterans Affairs, today announced plans for an official Government of Canada delegation to travel to the Netherlands in 2015, to mark the 70th anniversary of the Liberation of the Netherlands. The delegation will be comprised of Veterans who served on land, in the air and at sea during the Second World War campaign. In addition, the Government of Canada is offering financial assistance for any Veteran of the campaign wishing to travel to the Netherlands to attend Government of Canada commemorative events taking place from May 3–9, 2015. Canadian Veterans who participated in the Liberation of the Netherlands are eligible to apply for up to $2,000 in travel assistance and are encouraged to do so as soon as possible. Learn more about the Government of Canada's support for Veterans wishing to participate by phoning, toll free, 1-866-522-2122, visiting veterans.gc.ca or emailing [email protected]. All Canadian Veterans of the campaign planning to attend commemorative events in the Netherlands are asked to identify themselves to Veterans Affairs Canada to ensure they are invited to official Government of Canada events. During the Second World War, tens of thousands of Canadian soldiers, sailors and airmen played a key role in the Liberation of the Netherlands, including up to 175,000 Canadian soldiers of the First Canadian Army. The cost of this victory was high, as more than 7,600 Canadians lost their lives. In 2014, Canada marked the centennial of the beginning of the First World War and the 75th anniversary of the beginning of the Second World War. From 2014 to 2020, Canada will mark the events, the battles, and the social conditions that shaped these wars. These commemorations will encourage Canadians to understand more about the two world wars and pay tribute to those who contributed to these defining chapters in our collective history. Canadian troops played a crucial role in liberating the Dutch people, who suffered from terrible hunger and hardship under enemy occupation. Lest we forget the tremendous service of Canadians in this effort and the opportunity for freedom for millions that their sacrifices secured." "As a fighter-reconnaissance pilot Veteran of the Battle for the Liberation of the Netherlands, I had first-hand exposure both to the deprivation forced upon the Dutch people by their Nazi conquerors and to the enormous casualties endured by Canadian forces in the bloody struggle to defeat the German military. Their surrender to Canadian Lieutenant-General Charles Foulkes, at Wageningen, on May 5, 1945, helped to finally end the war in Europe. To recognize and celebrate in Holland the valour and sacrifice of those liberating Canadians 70 years later is a supremely worthy objective." WWII Veteran Alexander Sandy Boucher celebrated his 102nd this past January. 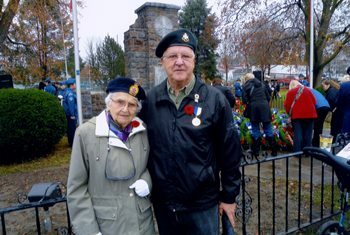 The oldest Métis Veteran in Ontario was registered with the MNOVC back in 2013. Alex attended the AGA in Ottawa for the first time in 2013. He had never been to Ottawa, never seen the National cenotaph, the Aboriginal Veterans monument or the war museum. The Metis Nation of Ontario Veterans’ Council is honoured to have Alex as a member in good standing and wish Alex the very best and a very happy birthday. CD and Sergeant Ray Starks CD. The Métis people were brought together on Saturday, March 22, 2014 at the Annual General Meeting of the newly named Métis Nation of Ontario (MNO) Clear Waters Métis Council (CWMC) to celebrate their rich heritage and to acknowledge the milestones of family, friends and the Nation. The MNO CWMC and the MNO Veterans’ Council coordinated this extraordinary event. 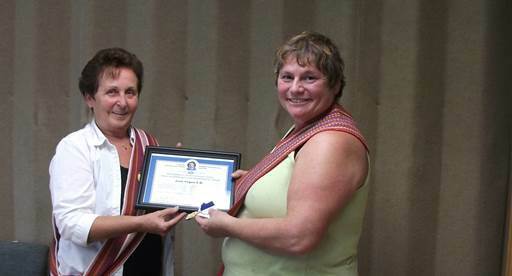 It was a joint effort and privilege by all to honour Métis veteran Lorna Burke. Burke comes from a long line of military men and women, dating as far back as the Northwest Resistance at Duck Lake and the battle of Cut Knife Hill where her Uncles James and Charles took up arms with Louis Riel and Gabriel Dumont to defend the Métis Nation. Burke and her two sisters joined the Navy and Naval Reserve during the late 1960's. Burke served at the Canadian Forces Base in Halifax, and ended her 12-year naval career at Hamilton HMCS Star in Hamilton, Ontario. 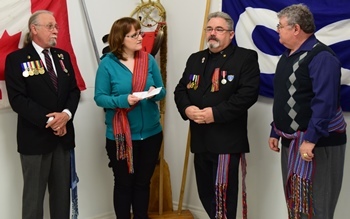 At this celebration, Burke was presented with the Louis Riel Certificate, which indicates that the MNO Veterans’ Council has confirmed she is a Métis veteran. She was also honoured with the Louis Riel Medal, which is given to Métis Veterans for their dedicated service to their peers, community and the Métis Nation. Burke also received the Batoche Medal. Peace and freedom would not be possible without the willing sacrifice of our men and women who have answered the call to service. A great deal of thanks and appreciation were extended to all of our Métis Veterans, both those still with us and those who have passed on. On October 31st 2014, Métis Veteran Dave McFarling from Sault Saint Marie was presented his Louis Riel Medal and accompanying Louis Riel certificate by Métis Veteran Jack Bouchard. The presentation was special due to having known each other for a long time and living in the same community.